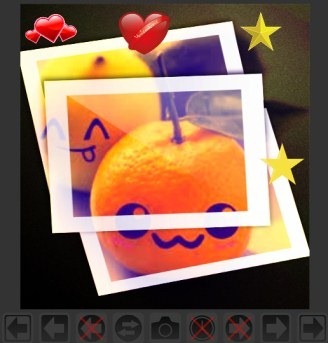 FabCam is a useful Chrome app that lets you add effects, textures, and frames to your photos. It is available free for Google Chrome. You just need to select an effect from the available effects to make lovely changes to your photos. Not only this, you can even add objects and text to an image. The thing I like the most in this app is that you can even upload your photos either from your PC or from your Facebook account. In addition to it, you can even take photos from webcam (if you have). Just after adding desired and fun effects to the images, you can easily save them to your system at the desired location. 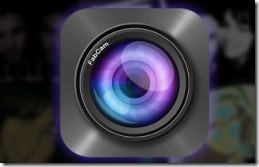 Moreover, you can even share your photos to Facebook and fabcam.net. 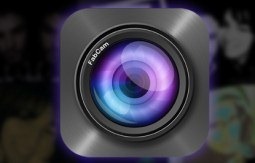 There is a simple to use interface of FabCam available for everyone. Add multiple effects, textures, and frames to photos. Directly upload photos from PC. Upload your Facebook photos to add effects. Real digital camera like effects and functions. Share photos to Facebook easily. Simple and easy to use app with quality interface. How To Add Effects, Textures, etc. Using FabCam? Start using this handy app for adding beautiful effects, textures, frames, etc. Here is the link for you to add FabCam. Click this given link and add this useful app to your Chrome browser. After this, you can open it from new tab. Here you will find three options as you could see in the below given screenshot. These are: Webcam, Upload images from PC, and Facebook photos upload. No matter whether you have webcam or not. You can upload an image from your PC by clicking on the middle option known as Upload Image. And if you want to upload your Facebook photos from your Facebook albums, then you can simply use Facebook option. You only need to sign in to your Facebook account to upload photos from there. The same Facebook log in option will also be available at the left corner of its interface. After uploading an image, you can give effects, textures, frames, etc. easily to it. There are buttons available at the bottom for performing actions. 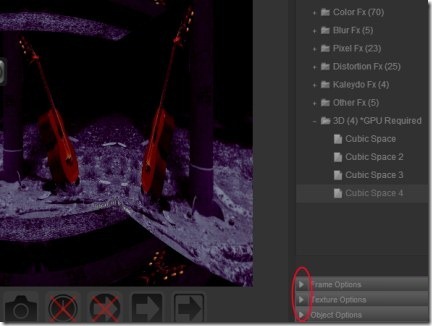 The available control panel in FabCam gives you all the options: Fx Panel, Frame Options, Texture Options, Object Options, and Text Options. This Control Panel button will be available at the top middle part of FabCam’s interface. Click this button, and you will find all the options at the right side under control panel. 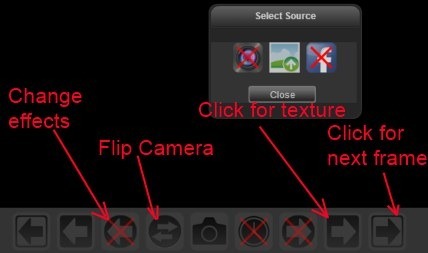 As you could see in the below given screenshot, all the options which you can access. Keep adding effects, textures of your choice until you not satisfied with the changes. And once you are happy with your applied changes, you can easily save or share your that specific image using given button for this. As you could see in the below mentioned screenshot, you can easily save image to the desired location on your system by clicking on the Save Image button. 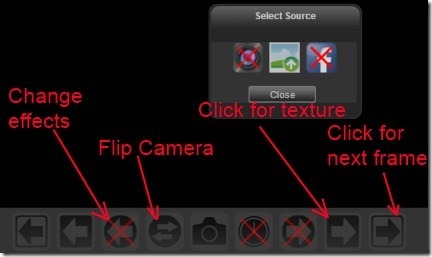 Moreover, for sharing your image on Facebook or fabcam.net, use given buttons for it. FabCam let’s you add different types of effects to your images. Try it yourself to see how good it is. Also, try some free websites to add effects to photos.